It's been more than 10 months since McGill graduate Niloufar Bayani was arrested in Iran, where she was working as a conservationist. Now, calls are growing in Canada and around the world for her release. 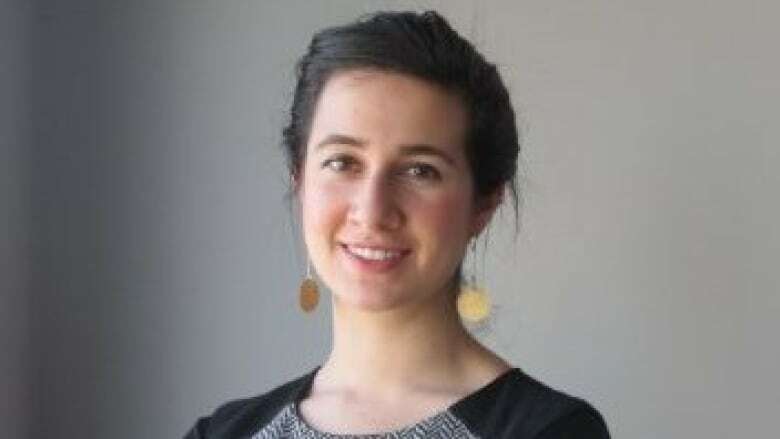 Hayley Lapalme still can't wrap her head around why her friend Niloufar Bayani is behind bars in an Iranian prison. It's been a year since the former resident of Montreal and Toronto was arrested and accused of espionage. "To learn this person, who had a wonderful presence in our community here [in Toronto], is now in a prison cell — it's stunning, really," Lapalme told As It Happens host Carol Off. Bayani is a former McGill biology student who graduated in 2009. She later worked for the United Nations Environment Programme. She was living in Toronto when she met Lapalme. She had returned to Iran to do environmental work, when she was arrested in January and accused of espionage. She has been behind bars in Evin prison outside Tehran ever since. Nearly a year since her arrest, Lapalme wants more people to know who Bayani is — and to fight for her release. "Niloufar is this person who has this lightness, goodness, intelligence and generosity about her that is really contagious," Lapalme said. "She really brings out the best in people." As It Happens reached out to McGill University for comment, but did not receive a response. University spokesperson Chris Chapello told the Montreal Gazette that McGill is "aware of the situation and has been in contact with the Canadian authorities." Bayani was always passionate about doing environmental field work anywhere in the world, Lapalme said. She studied zebra mussels in Montreal and researched marine life in Beliz, she said. Lapalme said her friend moved back to Iran to do field work with the Persian Wildlife Heritage Foundation. At the time of her arrest, Lapalme said Bayani was setting up camera traps to track Asiatic cheetahs, an endangered species in Iran. But to Iranian authorities, the act amounted to spying. Bayani was charged with "sowing corruption on Earth," for which she could face the death penalty. She has not yet had a trial. "For the kind of work that we can practice freely and that is appreciated here, it's work that's being criminalized now in Iran," Lapalme said. 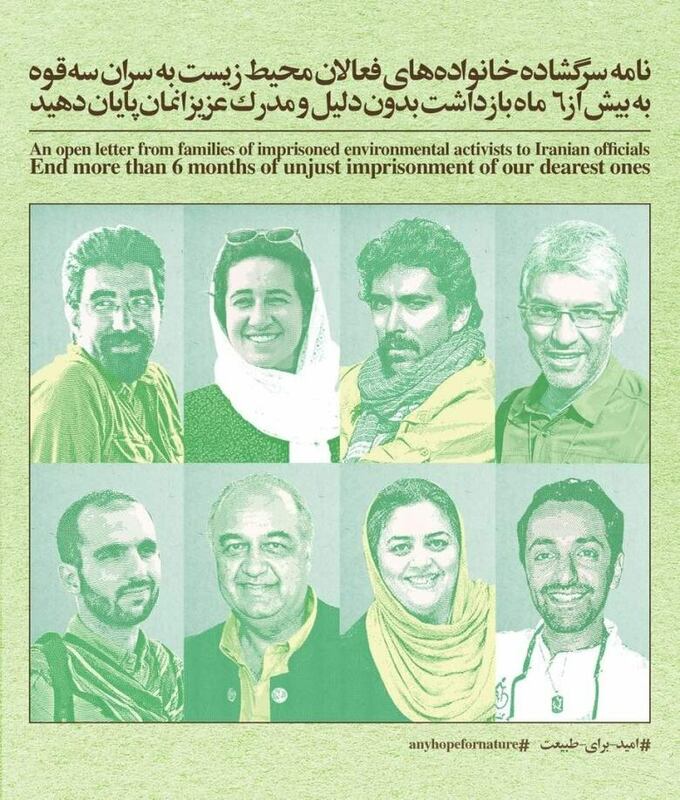 Last month, more than 300 conservationists, including primatologist Jane Goodall, signed an open letter, demanding Bayani and eight other environmentalists in Iran be released. The letter defends the use of camera traps, which are "now a standard tool for wildlife monitoring, being deployed for that purpose in many regions around the world." "We are convinced that their work and research had no second means or objectives,the letter states. "We are horrified about the thought that the neutral field of conservation could ever be used to pursue political objectives." To Bayani's friends and family, the publication of that open letter is "certainly something that buoys us and gives us hope," Lapalme said. At the time of Bayani's arrest, Iranian-Canadian environmentalist Kavous Seyed-Emami was also sent to Evin prison. Seyed-Emami was the founder of the Persian Wildlife Heritage Foundation and a passionate advocate for conservation and the environment. Shortly after his detention, he died behind bars. Iranian authorities say he died by suicide, but his friends and family have contested this. His sons blame Iranian prison guards for their father's death. Seyed-Emami's death sends an ominous signal, Lapalme said. "I think that news certainly shakes us. But we are optimistic and hopeful that our friend is doing OK," Lapalme said. "Niloufar is an incredibly resilient person. I think we are just extending her any strength that you can muster across distance. All we can do it be optimistic." Bayani has had limited access to legal counsel, and her friends and family have "no real information" about how she's doing, Lapalme said. All she can do is hold out hope that her friend will be released soon. "I think if we could speak to her today, I would let her know that her friends and her community in Canada are here in solidarity with her," she said. "And the fact that she courageously pursued her principles — I want her to know that we value that." Written by Jeanne Armstrong. Interview with Hayley Lapalme produced by Donya Ziaee.